What Are the Herbs that Help with Memory? Forgetfulness is a part of life for most of us. Forgot where you put the keys? Can’t find your wallet or purse? You arrived home last night, turned on the dome light inside your car while in the driveway, and then you forgot to turn it off when you went inside the house. It happens to all of us. But there is a difference between routine forgetfulness and actual memory loss – a significant difference, in fact. It has long been assumed that loss of memory is a given related to aging. It’s not just a symptom that emerges over time for someone diagnosed with a form of dementia, such as Alzheimer’s disease. Other factors can be involved in memory loss, and younger people are not exempt – chalk it up to causes such as alcohol or drug abuse, lack of sleep, stroke, certain prescription medications, depression, and head injuries. Sometimes it can be difficult putting a name with a face, recalling birthdays, anniversaries, and scheduled appointments, or keeping track of a grocery list without writing down the items – and then neglecting to take the list with you once you get around to leaving the house. There are times and days when our brain just can’t seem to recall things, even certain words, and it can also be a problem focusing or concentrating on tasks at hand. Periwinkle. It can help in several areas, such as an antibacterial and sedative, and it also is known for improving memory. 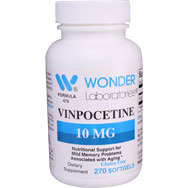 Among its ingredients is vinpocetine, found in periwinkle’s seeds and which end up not only in herbal supplements but also in many pharmaceutical drugs used for treating dementia and Alzheimer’s disease. Ginkgo biloba. 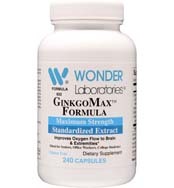 This is an herbal extract from a tree species with phytochemicals that are responsible for gingko’s anti-inflammatory functions and its capacity to prevent blood clots and enhance blood circulation, per progressivehealth.com. Gingko also is known to stop the formation pf beta amyloid proteins that contribute to Alzheimer’s. Sage. Studies using sage extract capsules vs. placebos have shown an improvement in people’s performance on memory tests, per prevention.com. Ginseng. This is an herb that the Chinese have used for centuries to treat several diseases, including memory loss. 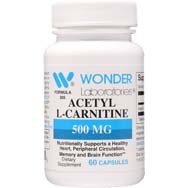 One study, per organicauthority.com, has shown it useful in restoring memory in stroke patients with dementia. Rosemary. A sweet-smelling herb used in cooking, it also has been included in memory-boosting medicines. Per naturalon.com, lab studies have demonstrated that its antioxidant compounds can kill free radicals involved in cell damage. Ashwagandha. Not a well-known herb, but it merits attention. 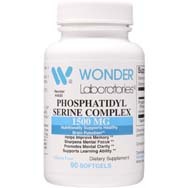 It is believed to lower the effects of stress and protect the brain from cell deterioration. Peppermint. It’s not only good for your breath, it has been shown in studies to enhance learning abilities, creativity, and energy levels, per naturalon.com.